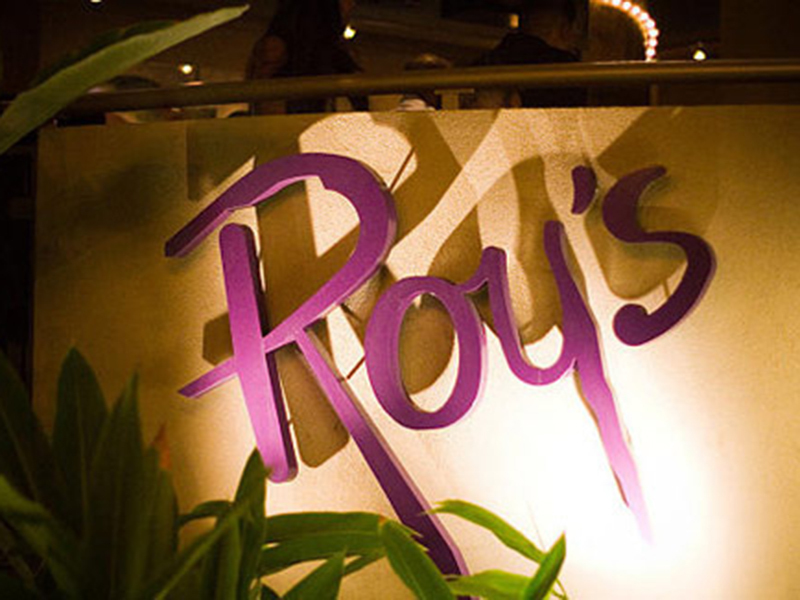 It was probably 20 years ago that I visited ROY’S Hawaiian restaurant in Waikiki. 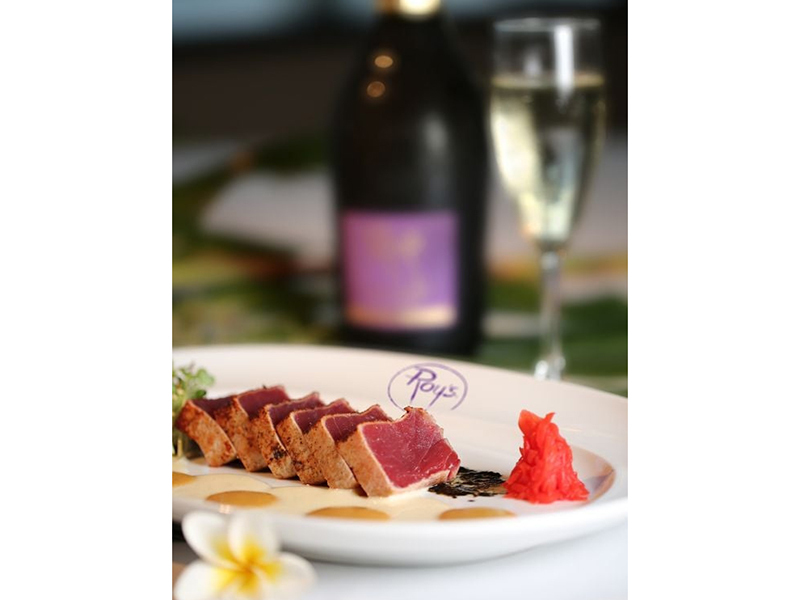 And being my first trip to Hawaii, it was my first experience with real – and really great – Pacific Rim cuisine. 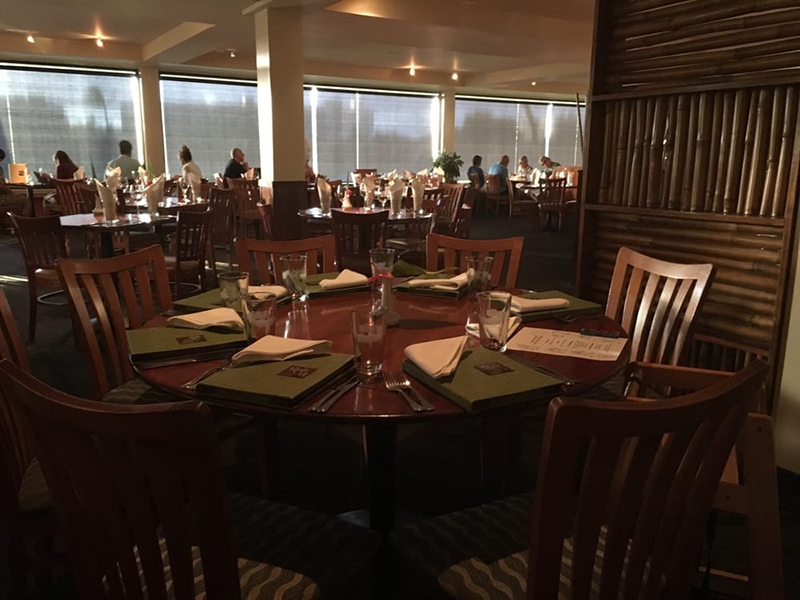 Prior to that, my “Hawaiian” dining had been limited to TRADER VIC’S, DON THE BEACH COMBER and our own WAIKIKI ROOM at the Nicollet Hotel – frequently pre-made and “scooped and plopped” on the plate. 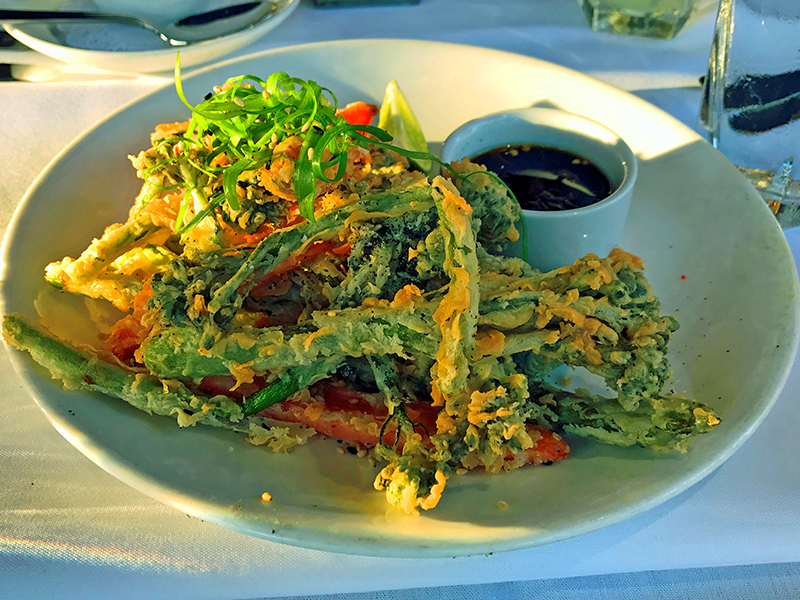 So when I discovered dishes freshly made to order from pristine local ingredients (before that was fashionable), beautifully plated and often witty, I had entered an entirely new Hawaiian culinary world. 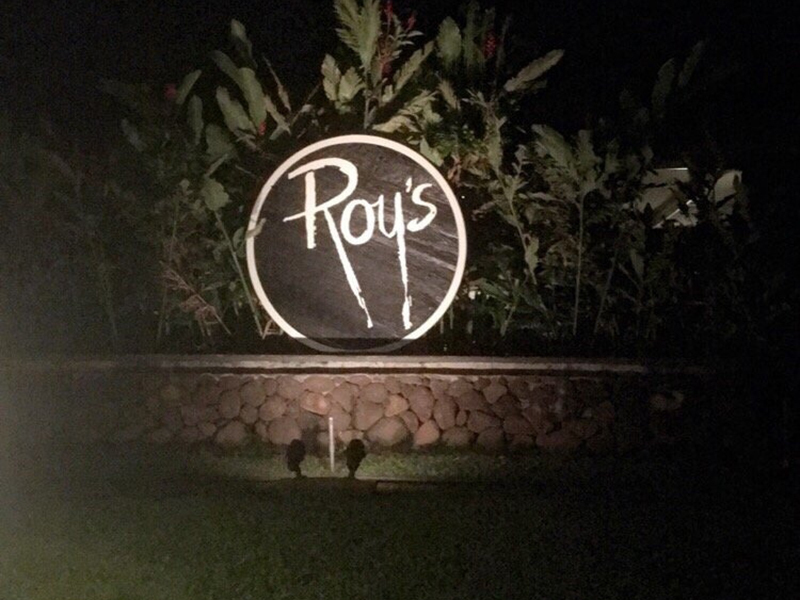 So every time I returned to Hawaii, I didn’t miss a chance to visit Roy’s. 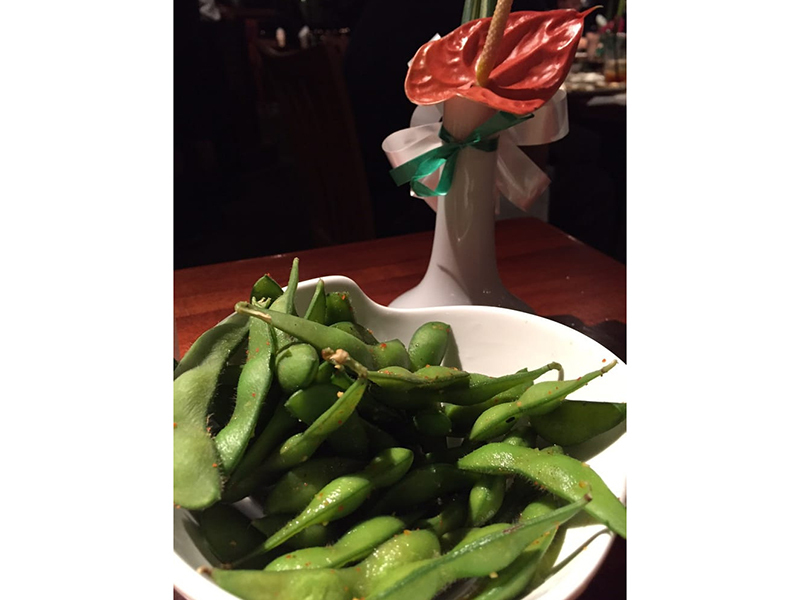 Dinner started with a small bowl of salted edamame beans followed by Blackened Tuna….virtually raw (I swear that the tuna was so fresh that it was swimming earlier that day). 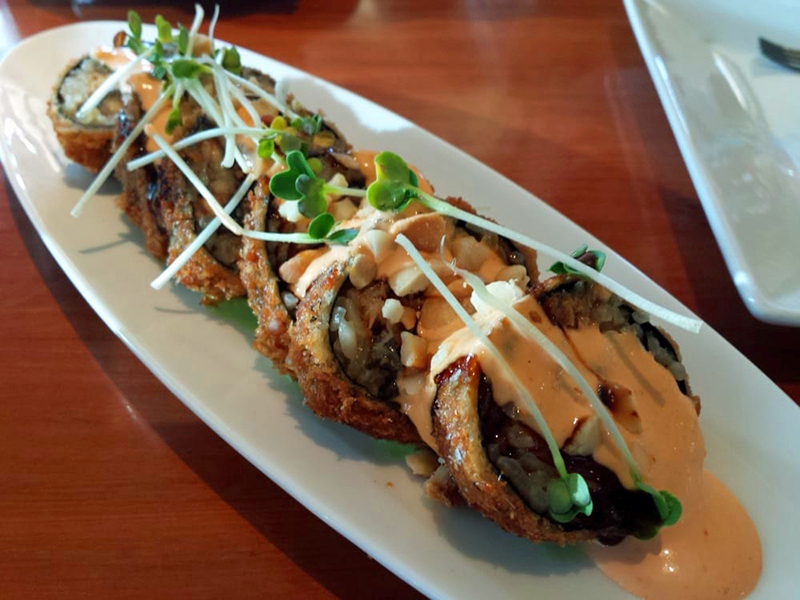 We continued by sharing a Deep Fried Dragon Roll – a nice counterpoint between soft and crunch. 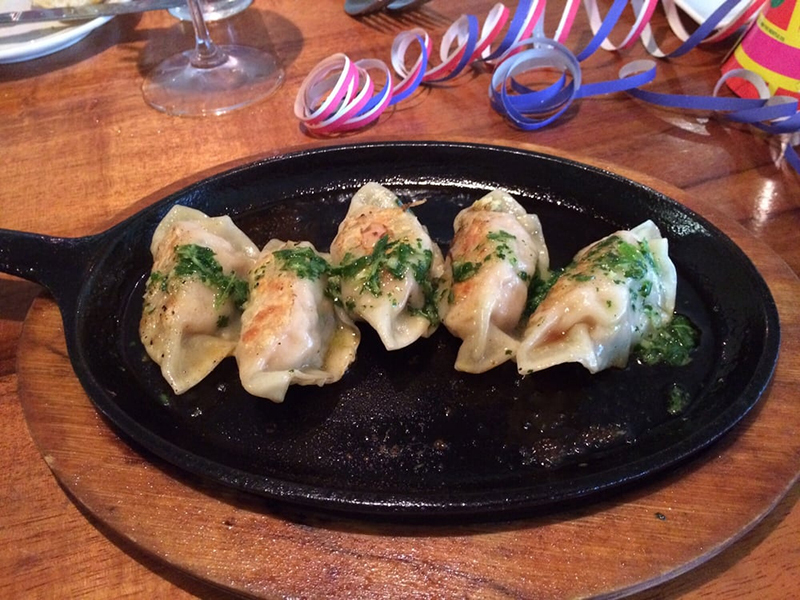 Ginger Chicken Potstickers were just as we had remembered them years ago. It should come as no surprise that Roy’s excelled. 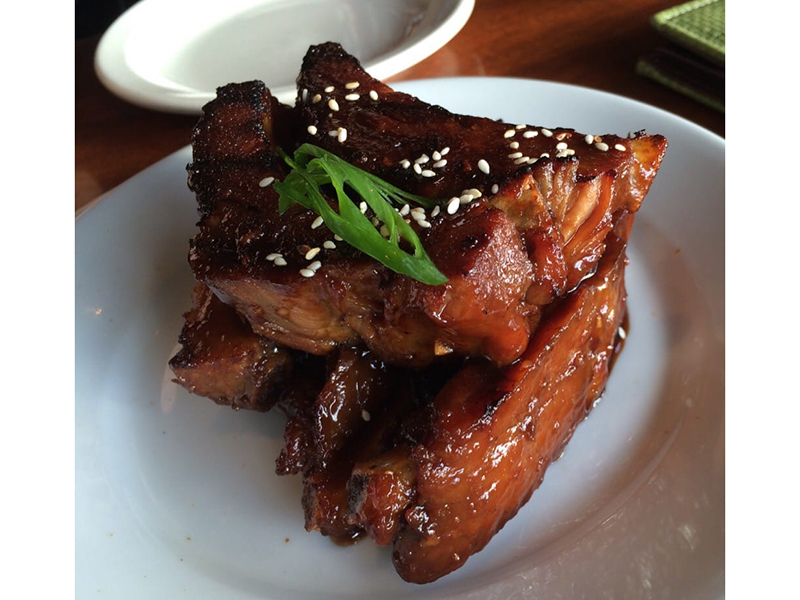 After all, the founder is Roy Yamaguchi….CIA grad from Hyde Park Culinary school and James Beard Award winner. 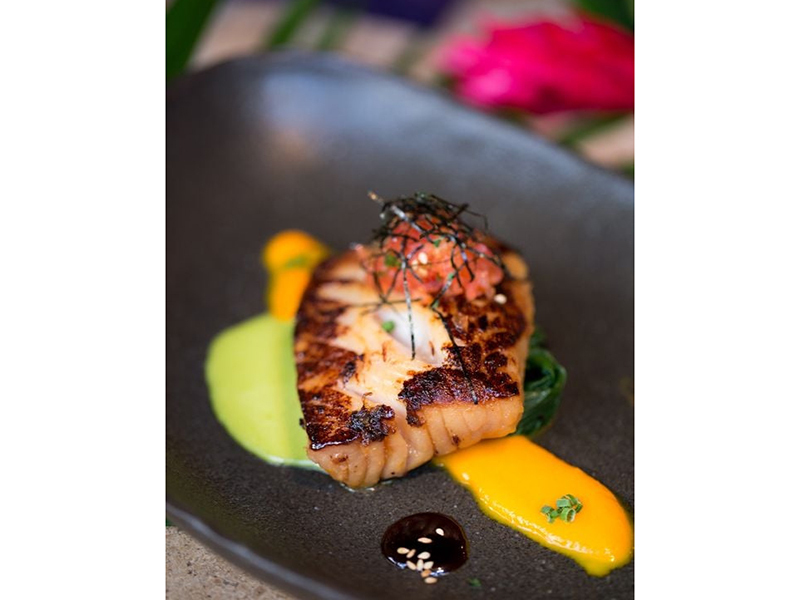 One of his signature dishes, a favorite of Joanne’s, is Misoyaki Butterfish – moist and perfectly prepared ($37). 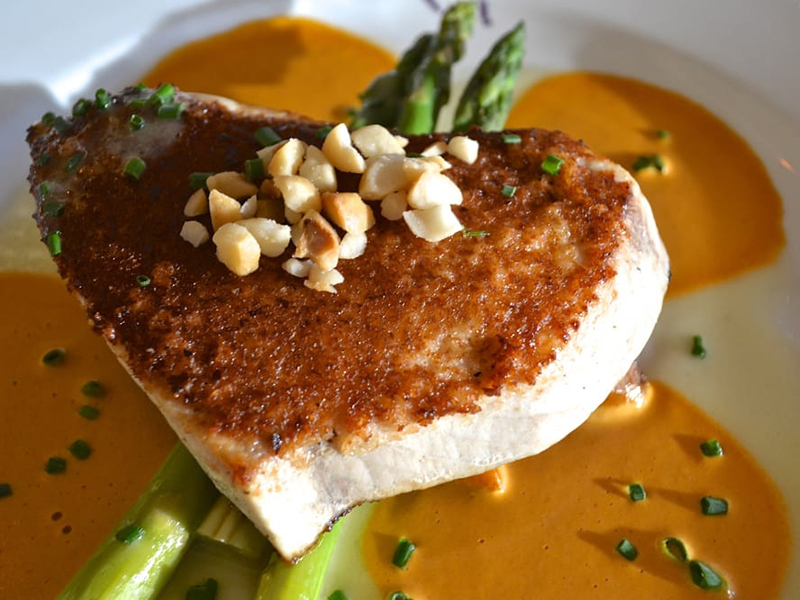 Out of my respect for gluttony, I opted for the Duroc Pork Chop with braised apples and crusted with blue cheese ($39). 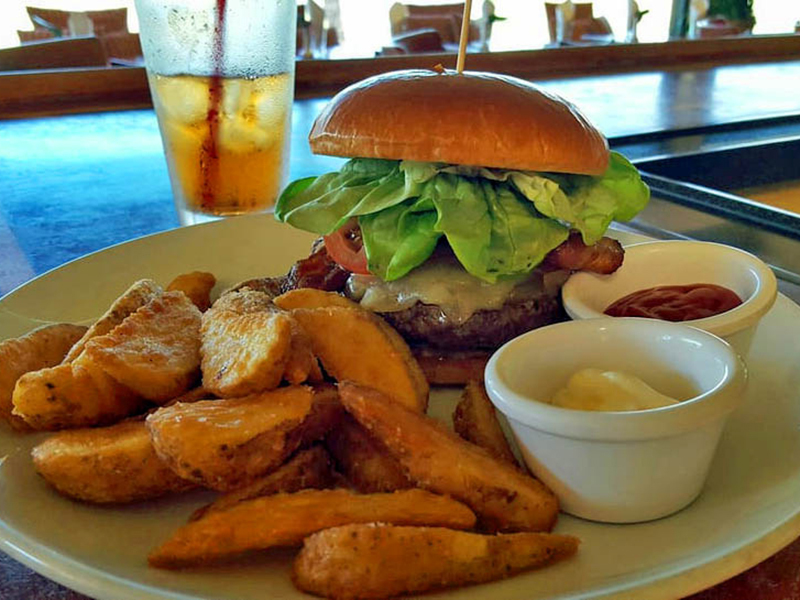 Roy built the company to number more than thirty restaurants both in Hawaii and here in the mainland, and then around the year 2000 sold the continental U.S. locations to BLOOMIN’ BRANDS, owner of OUTBACK STEAKHOUSE, CARRABA’S, BONEFISH GRILL and some APPLEBEE’S. I can remember being concerned about that sale. 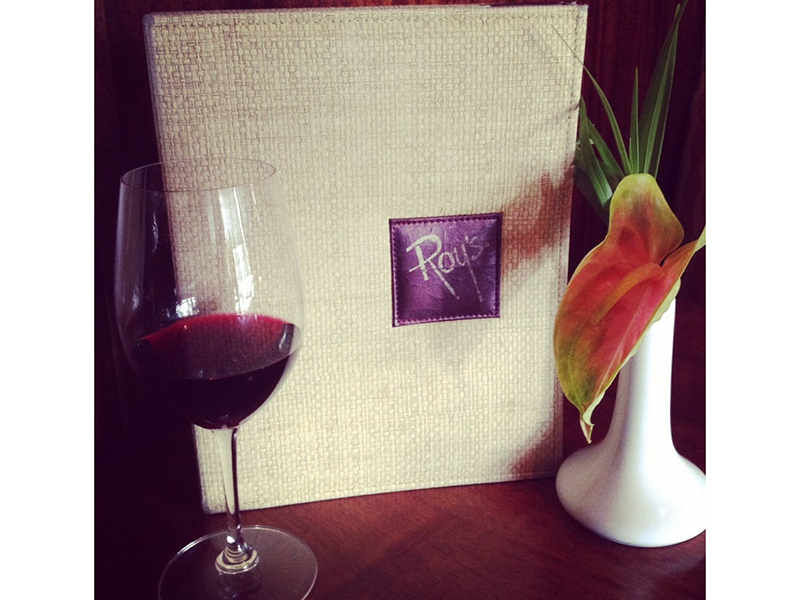 Could a fine dining concept be effectively operated by a casual dining culture? I still wonder about that. 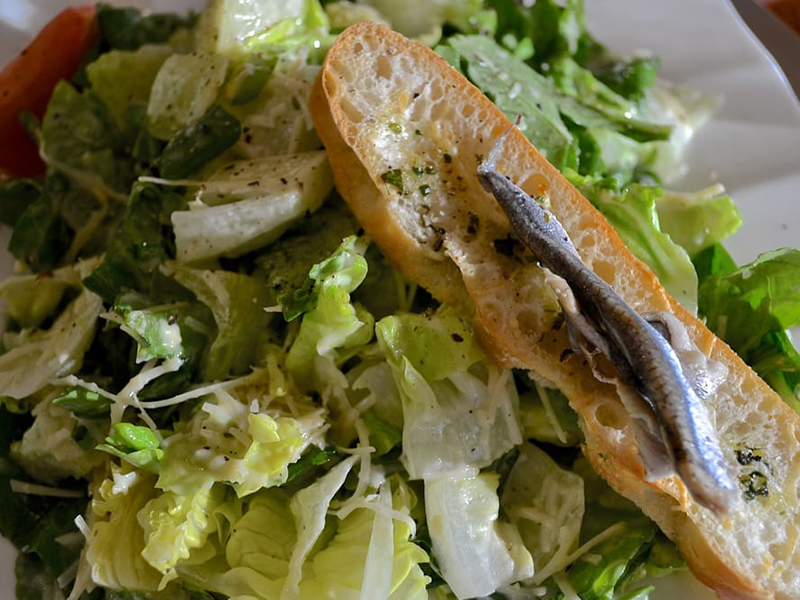 I never gave the mainland restaurants a try and as time went by, the publicity and trade rags seemed to mention them less and less, and it appeared to me that they were fading into restaurant limbo. 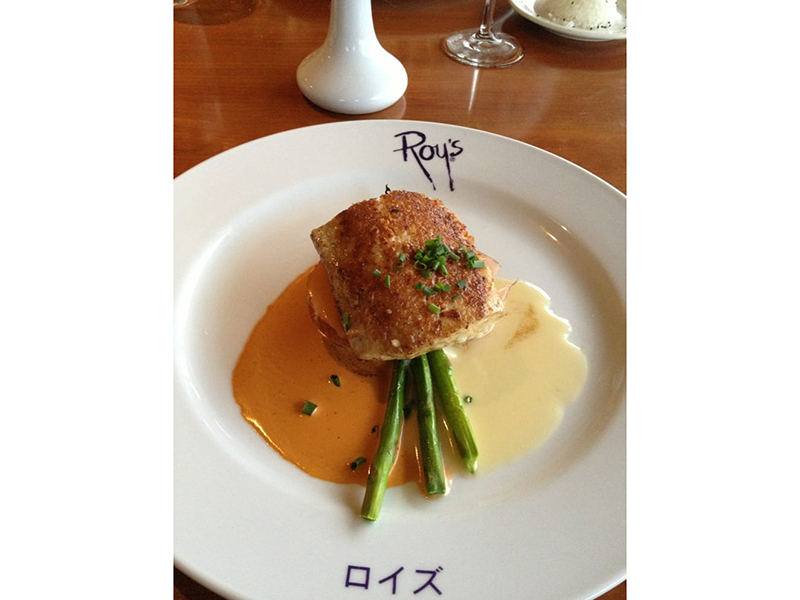 Time passes and two years ago we were in Maui and our daughter and her husband decided to give ROY’S a try at Kanapali in Maui. They returned with RAVE REVIEWS. So the next night Joanne and I decided to give ‘em a try as well, probably after a ten year hiatus. And as jaded as we probably were at that time, we came home thoroughly impressed. 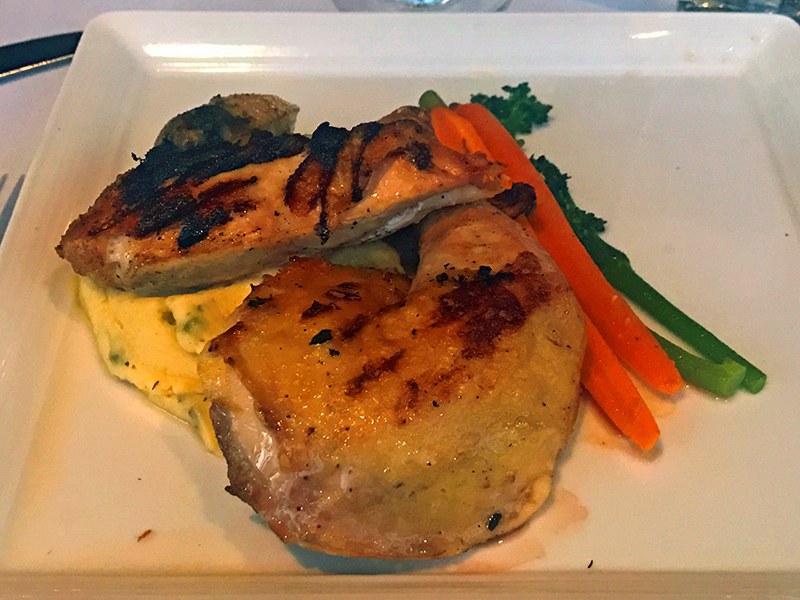 Roy’s still had all of the attributes that we so fondly remembered – polite, professional artful plating and flavor profiles…and that touch of whimsy that I love. Let’s return to the sale of the company several years ago. When I complimented the manager at Kanapali on our dinner, he informed me that Roy retained control of all the restaurants in Hawaii. 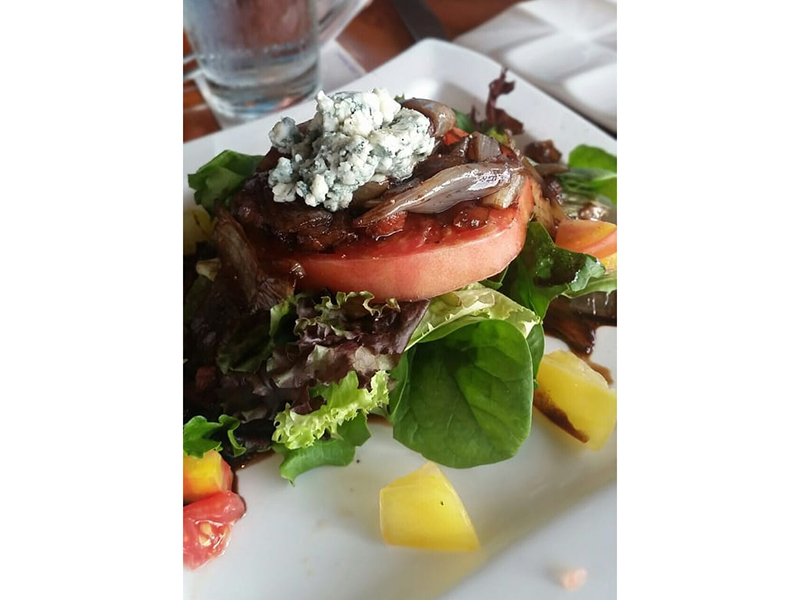 It made sense, not only because the food was great, but the whole operation had a feel of being very well-tended and loved. Fast forward to three weeks ago when we were in Naples, Florida. Mainland ROY’S was not our first choice, but all of the “GEEZER TABLES” at our preferred restaurants were fully booked by 6:00 PM and Roy’s had a table available on the patio for the six of us. Now I suspect that you are thinking I’m going to trash the place. I’m not. 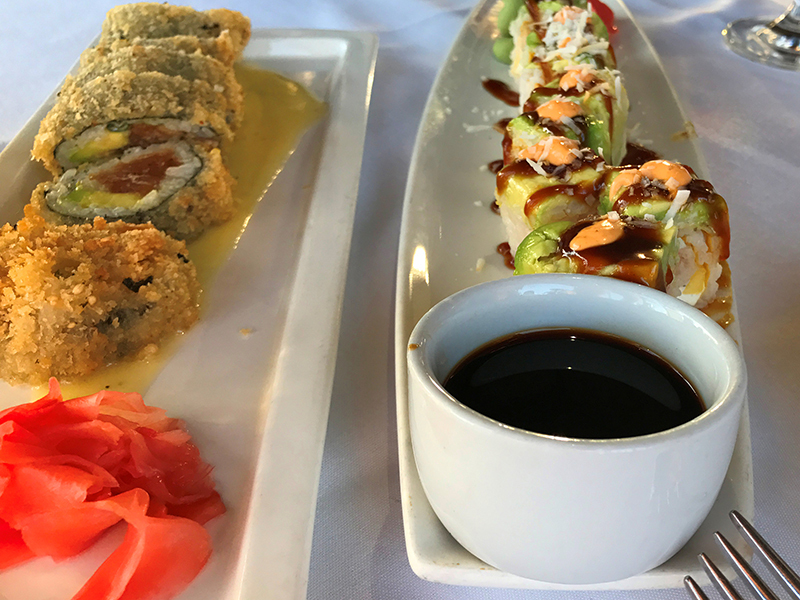 It was actually pretty good – which was something of a surprise since by this time the restaurant was an additional step removed from Roy Yamaguchi. 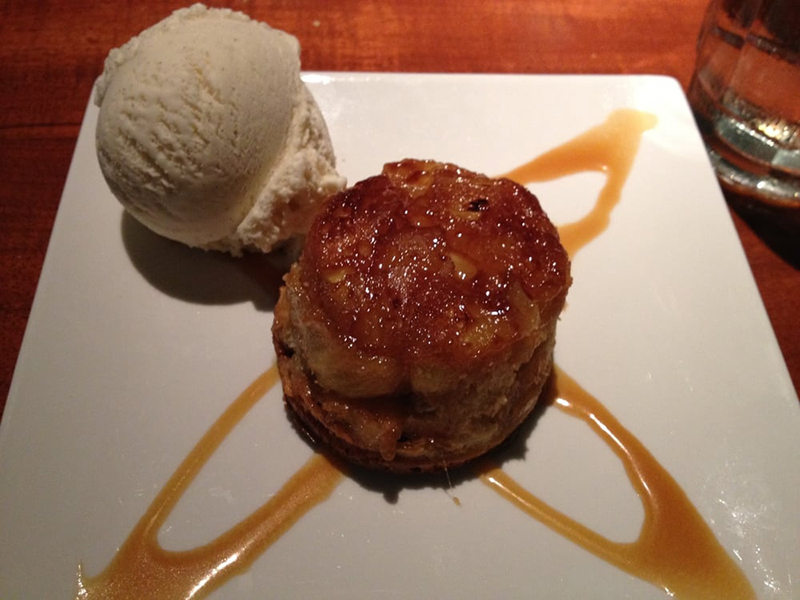 Bloomin’ Brands off-loaded its franchises to an Applebee’s operator from Texas. I can only imagine how much money it ultimately lost on the deal. 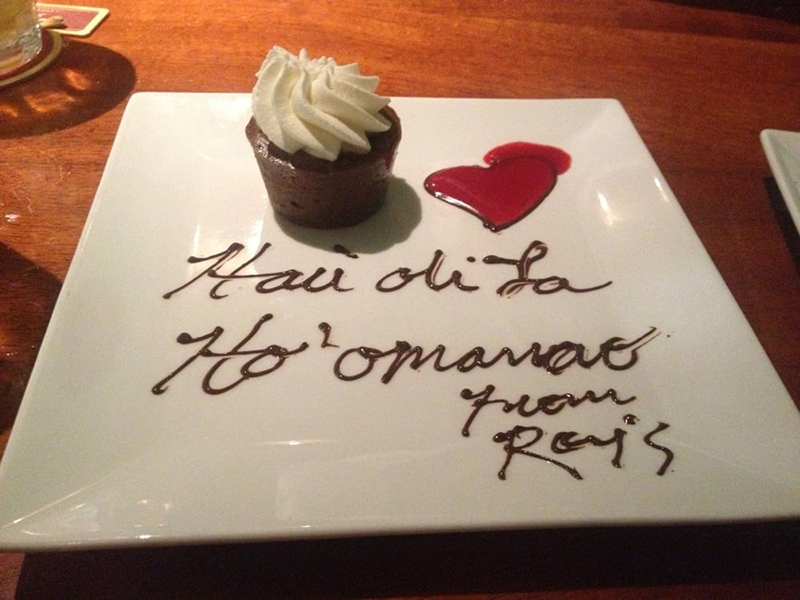 Still, many of the signature dishes from Roy’s Hawaiian outpost were featured on the Naples menu. 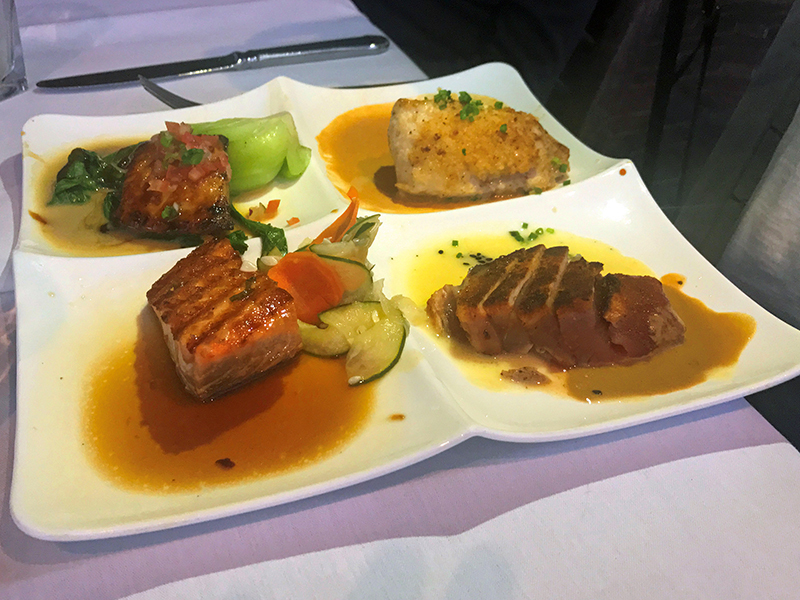 Szechuan Spiced Baby Back Ribs were there as well as the Macadamia Crusted Mahi Mahi and a $44 Seafood Sampler with salmon, swordfish, mahi mahi and tuna (I often worry about “samplers” – wondering if they’re just leftovers or scraps, but this was good). 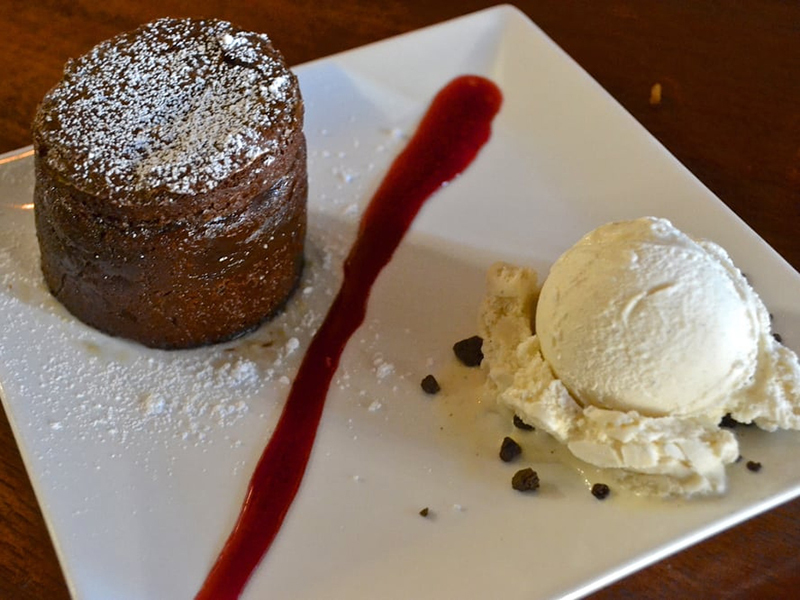 Our grandson had a great burger, and the desserts were all tasty, especially the Banana Crisp and the Molten Chocolate Cake. Here’s my takeaway. 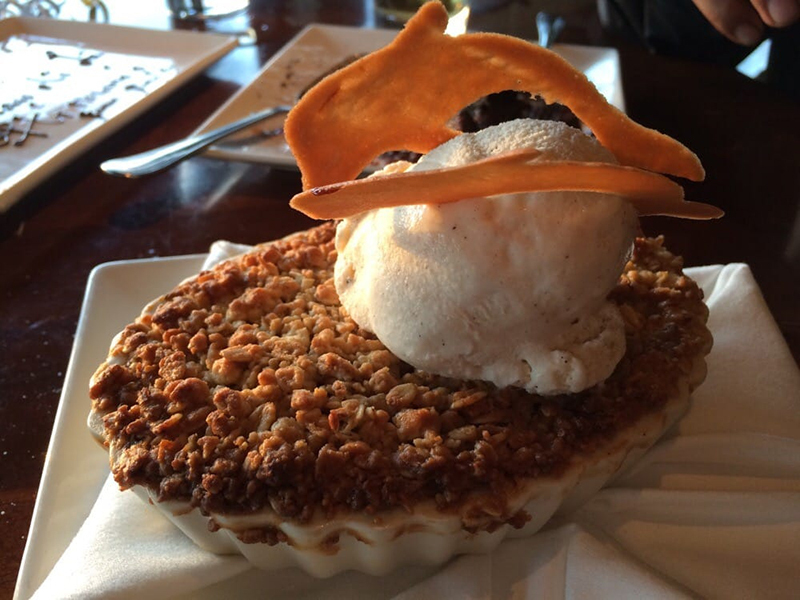 Roy’s on the mainland does a decent ¬– even good – job with the food. Service is professional. 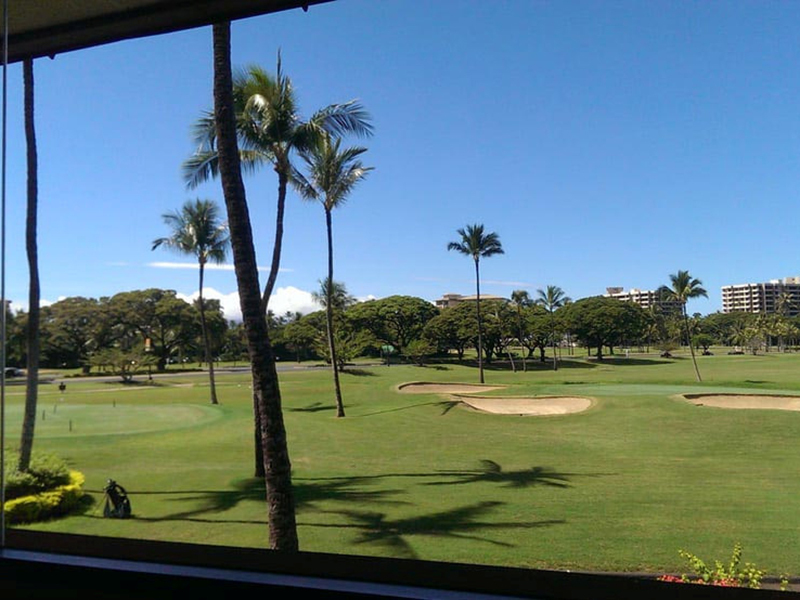 Does it seem a bit more formulaic than Roy’s in Hawaii? Yes. 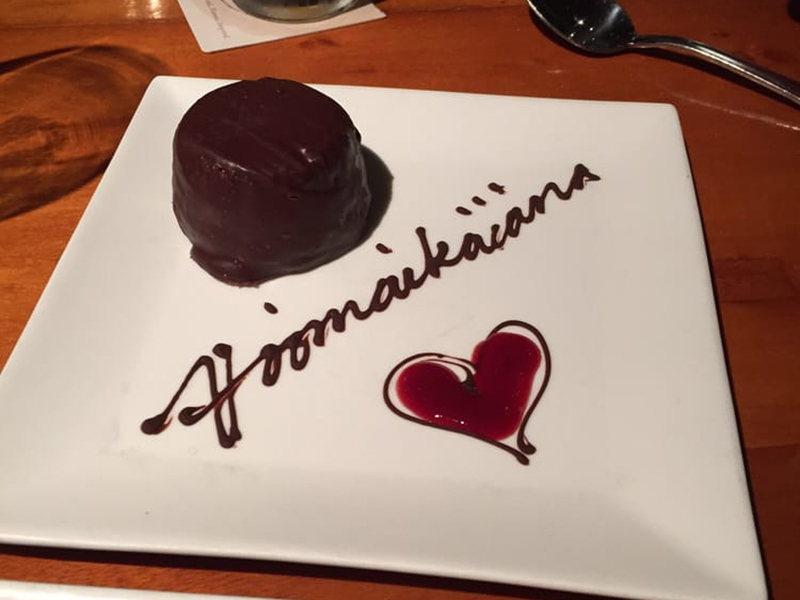 But our experience at the Hawaiian location was special. Very special. 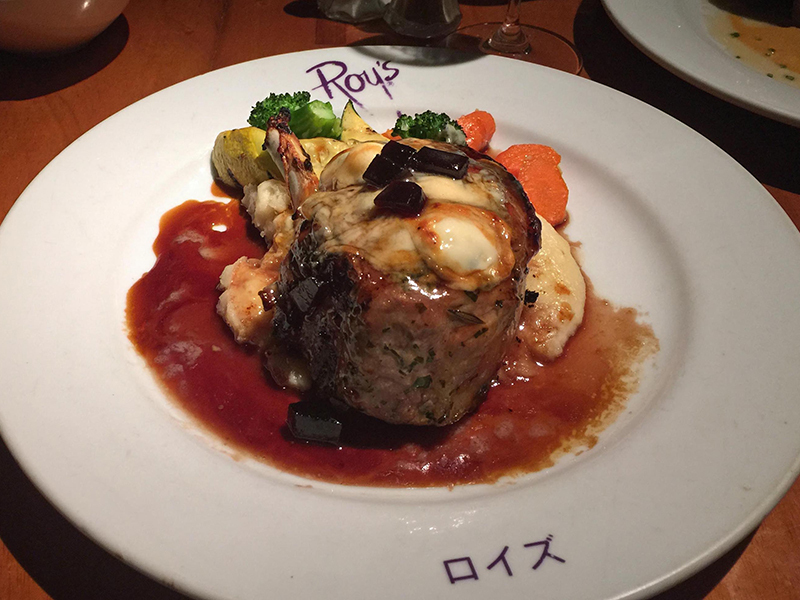 Finally we shared a traditional Hawaiian dish that we should have avoided…just because it’s famous: THE LOCO MOCO. 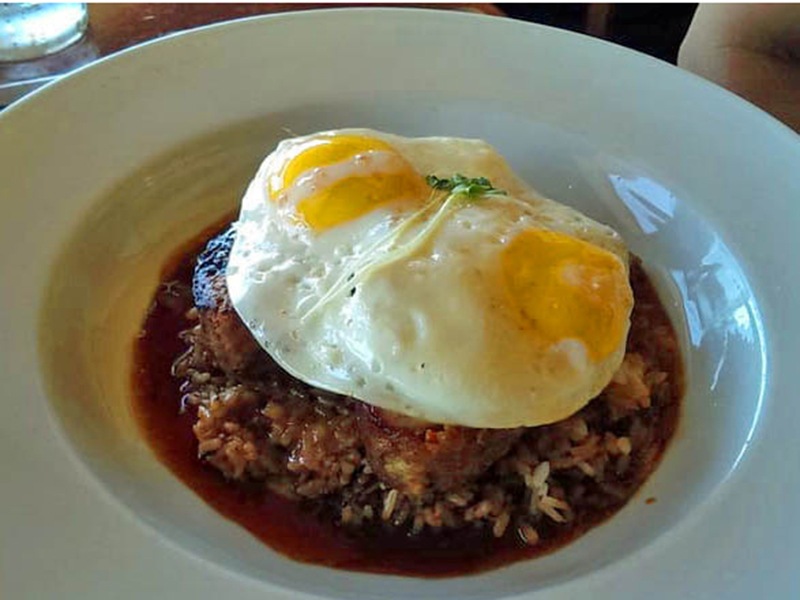 It gives new meaning to the term GUTBUSTER, starting with a bowl of white rice….topped with two half pound burger patties (sometimes SPAM or MEATLOAF )…..heavily napped with brown gravy and garnished with two fried eggs. The weight? I’d say about three pounds. It’s named after a Spanish teenager from a local sports club who apparently was sort of crazy, thus the first name LOCO. MOCO is a bit more mysterious as I’m told that the Spanish translation is BOOGER!!! Would you eat a dish called CRAZY BOOGER? 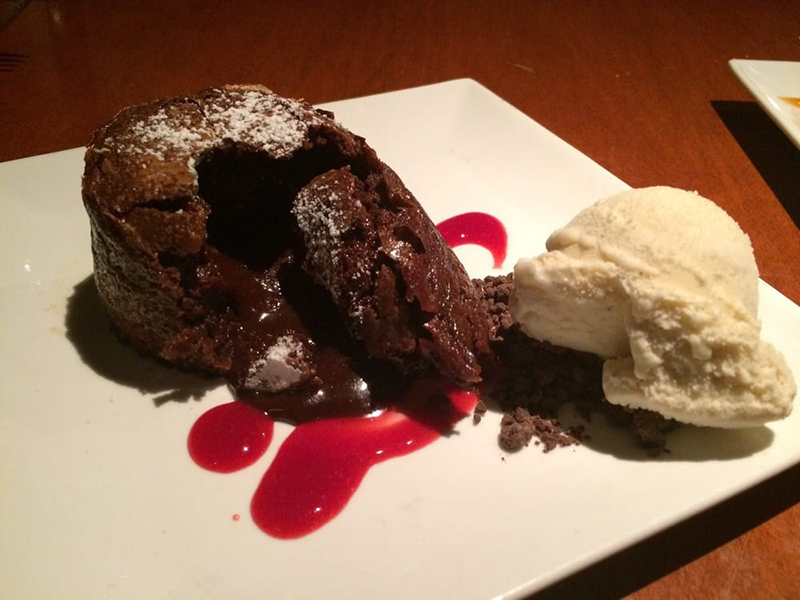 We did, so you don’t have to. Oh, and here’s a goofy thing. A few weeks ago I touted another restaurant in Honolulu called MORIMOTO, only to discover that it suddenly closed at the end of the year. I’m on a streak: Roy’s in Naples closed up a week after we were there!!!! W.T.F…….I mean really…. W.T.F. ?????? ?